Nancy Hudson, Purdue Extension/Fulton County HHS Educator, will be presenting “Tea Time” on Wednesday, April 17 @ 11:00. This program will take place in Kewanna Public Library. The library is located at 210 E. Main St., Kewanna, IN. Shirley Willard, Fulton County Historian, will share information about the early inhabitants of Indiana, the Native Americans. Shirley will be presenting her program on Wed., April 24 @ 11:00 in Kewanna Public Library. Kewanna Public Library is located at 210 E. Main St., Kewanna, IN. Shirley, a past president of the Fulton County Historical Society, spearheaded the building of the Fulton County Museum, Round Barn Museum and Living History Village called Loyal, Indiana. She is a writer and has published books and newsletters for the FCHS. Shirley is a well-known speaker about the history of Fulton County. This week, the Kewanna Public Library joins libraries of all types in celebrating the many ways libraries build strong communities by providing critical resources, programs and expertise. 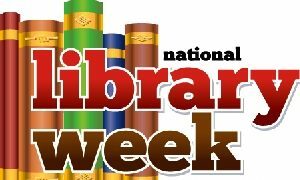 April 7-13, 2019 is National Library Week, an annual celebration highlighting the valuable role libraries and library workers play in transforming lives and communities. Libraries are at the heart of their cities, towns, schools and campuses. They have public spaces where people of all backgrounds can come together and connect. Kewanna Public Library is celebrating National Library Week by having a Community Art Show April 2-18 along with their regular weekly programs. Easter Egg Hunt @ the Library! 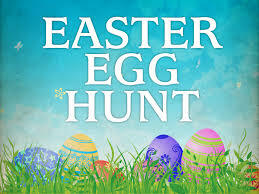 Kewanna Public Library will host their annual Easter Egg Hunt on Saturday, April 13 @ 10:00. Kewanna Union Township Public Library is located at 210 E. Main St., Kewanna, IN. Children ages 2-12 are welcome to attend. Prizes will be awarded. The Easter Egg Hunt will be held on the library lawn. In case of rain, the Easter Egg Hunt will be held inside the library. Please plan to attend this special event!